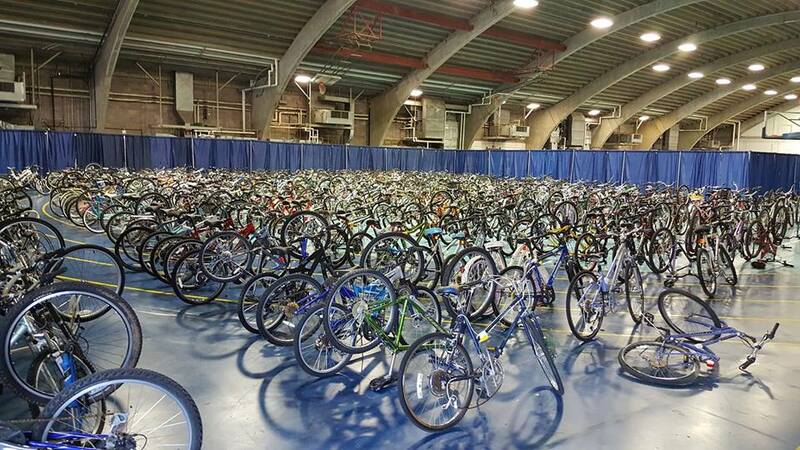 NAU students, faculty and staff have the opportunity to get a new set of wheels at the annual abandoned bike sale, a tradition of the university’s Welcome Week events. The sale takes place Aug. 24 at the Union Fieldhouse (building 30). Doors open at 9 a.m., but due to the increasing popularity of the event, lines can start forming as early as 7 a.m. The entrance will be at the south end of the field house (the roll up door). More than 200 bicycles will be available for purchase ranging from $5 to $150 in price. Cash and checks with ID will be the only forms of payment accepted. Bikes will be limited to one per person. Proceeds of the sale support NAU’s Yellow Bike Program.